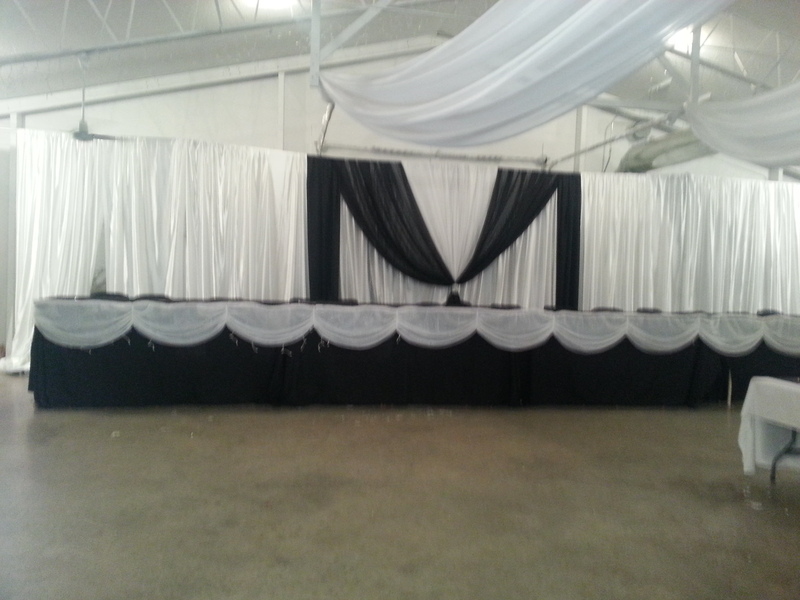 Do-It-Yourself Sateen Backdrop - comes in black, ivory, white, red, and navy. Pipe and plate included. Pick up and return at either our West Des Moines for New Sharon location. Set up can be added to the order for an additional fee. Call to inquire. WE DO NOT SHIP THIS ITEM!. Pipe, plate crossbars and uprights included in rental cost. Don't forget to add uplights for a romantic affect. NOTE: These items cannot be shipped. Local pick up only.